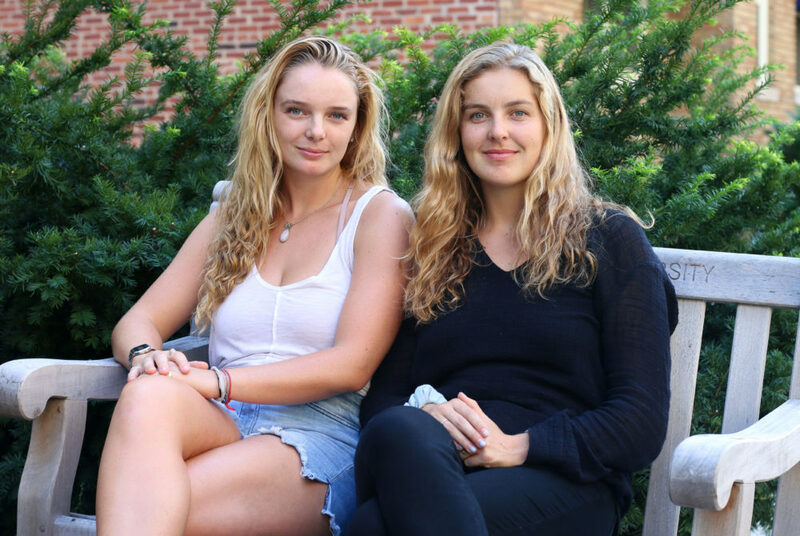 Alumna Erin McGeoy and senior Chloe King launched Last Call For Food, a company that partners with restaurants around campus to provide students with cheap food and meal deals, last month. A group of former and current students is working to offer students leftover food from restaurants at a discounted price. Students launched Last Call For Food, a company that partners with restaurants around campus to provide students with cheap food and meal deals, last month. Students involved in the company said Last Call will reduce food waste by utilizing excess food and help curb food insecurity on campus by allowing students to purchase entire meals at a discounted price. McGeoy said the roughly 200 students who have subscribed to Last Call receive weekly emails with information about meal deals and vouchers to use at restaurants around campus, but the founders are also continuing to develop current website. The meal deals will vary depending on what discounts restaurant owners are willing to offer, she said. She said the group will spend the next few months developing its website, promoting the company with flyers around campus and interviewing software engineers who will model its website. She said the group’s long-term goal is to develop a mobile application but did not specify how long it would take to create. So far, the group has partnered with one restaurant, Which Wich Superior Sandwiches, a GWorld vendor located at 1803 E St. NW. During the group’s trial run with Which Wich, students who sign up with Last Call can get a sandwich, chips and a drink for $3.85 – a meal that would usually cost about $12. The group will be holding a tabling event in Kogan Plaza next week with free sandwiches from Which Wich to spread awareness about the program. She said the group is currently trying to forge partnerships with other GWorld restaurants. Members of the group have been in conversation with restaurants like Flavors of India and Cafe Aria, she said. McGeoy said she and other founders of the group have struggled to pay for meals while attending GW and want their company to offer a way to go out to eat while sticking to a tight budget. The group is recruiting students to use the service through word of mouth, flyers and social media, she said. Food insecurity has been a long-running issue among students since the University adopted a new “open” dining plan two years ago. Amid criticism from student leaders about tight budgets and expensive meal options, officials increased the amount of money on students’ meal plans in February. Student leaders also created a food pantry for students in fall 2016, a response to growing food insecurity concerns. McGeoy said that while she attended GW, she participated in innovation competitions pitching the business and received a $250 grant from the Office of Sustainability. The group also won third place and $750 in the Pitch George Competition, an annual competition organized by the Center for Entrepreneurial Excellence in November, to help get the company off the ground. “From there, we’re hoping to move from the college campus area to other areas, so from Foggy Bottom, West End, Dupont and kind of just scaling out slowly in strategic locations,” she said. Senior Chloe King, a co-founder of the group, said that when using the website, students can check what food local restaurants are selling, what the meal deal is and what time they can pick up the food. King said that because Last Call is a business that will eventually make a profit, the group can’t register as a student organization with the Center for Student Engagement. Once the group has partnered with more restaurants, it will charge each subscriber a fee, but the price has not yet been determined, she said. “It is such an important mission for us is that we want to see more people being fed for cheaper amounts, thus reducing the terrible amount of food insecurity that’s going on on GW’s campus,” King said. Senior William Ruan, a member of Last Call, said the group is currently partnering with local vendors and will update the business’ website as companies sign on. Once the group garners more interest from GWorld restaurants, he said he wants to expand the company to include other restaurants in D.C.